It’s not a well kept secret that we are huge Midnight Madness fans. In fact, the late-night screenings at Ryerson Theatre are where most of the fondest memories we have of the last decade of TIFF movie going. If general TIFF Audiences are regarded as some of the best among all international film festivals, then the Midnight Madness crowd are the pièce de résistance of film festival audiences. More so at these screenings than others, the directors, cast and crew of these films compliment and cheer on the rowdy and raucous film viewing mob, while we watch these action-packed, shocking and sometime horrific films. It’s an obscene celebration of art – but we wouldn’t have it any other way. In what has become a yearly tradition, Midnight Madness and occasional Vanguard programmer Colin Geddes spent several hours the day before the official announcements of his selections on Twitter teasing his films. Many of his followers delight in the guessing game of trying to decipher his clues, often coming up with the correct answers. It’s a fun way to get everyone excited for the big reveals. 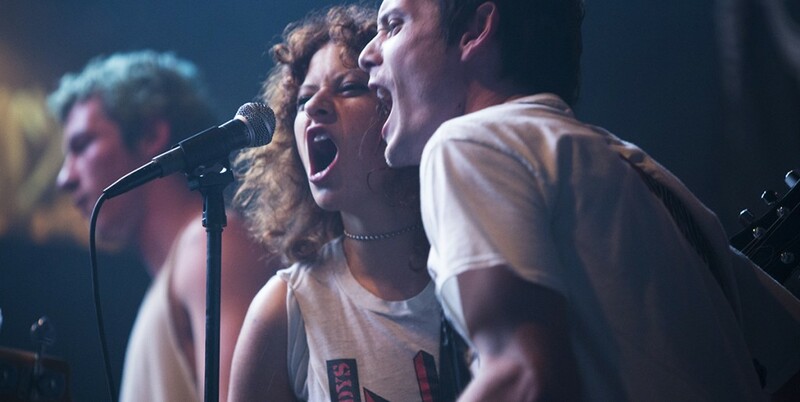 This year’s Midnight Madness programme will open with Jeremy Saulnier’s Green Room, screening with the previously announced short film The Chickening. Shown earlier this year to a warm reception at the Cannes Film Festival, the film follows an indie punk band, who after stumbling across a horrifying act of violence, is held hostage in a backwoods club by a band of neo-Nazis led by Patrick Stewart in what is surely an unorthodox role for him. Surely to be a Midnight Madness highlight this year is Baskin directed by Can Evernol. The first ever selection from Turkey, it is said that the shock and gore of this film rival the notorious film Martyrs. Past Midnight Madness People’s Choice Winner for The Loved Ones, Sean Byrne returns with a surprise new film that was not on anyone’s radar called The Devil’s Candy. The haunted house tale is a story about a struggling painter who becomes possessed by satanic forces. Nick Simon’s new film The Girl in the Photographs also seems to have garnered some interest. The usual selection of Asian action flicks are also on tap again this year at the festival, including the latest from master filmmaker Takashi Miike called Yakuza Apocalypse. Closing out this year’s festival is a film that may just out-Scream Scream. The meta-horror comedy film The Final Girls boasts an all-star cast of young up-and-coming actors such as Taissa Farmiga, Adam Devine, Alia Shawkat, Alexander Ludwig, Nina Dobrev, and others. Geddes said during his Twitter teases that this was easily the most asked-for film this year. The Vanguard programme is often filled with unusual, challenging, and experimental films that push the boundaries of what you typically see on the big screen. It can be a hit-or-miss section to choose from. This year’s crop of films continues that mandate. One that seems to be grabbing attention early on is the South Korean film Collective Invention. In what promises to be a humorous satire, a mutant fish-man becomes a national celebrity. Perhaps one of the most anticipated films for us coming to the Vanguard programme, and probably the entire festival is Anders Thomas Jensen’s Men and Chicken. 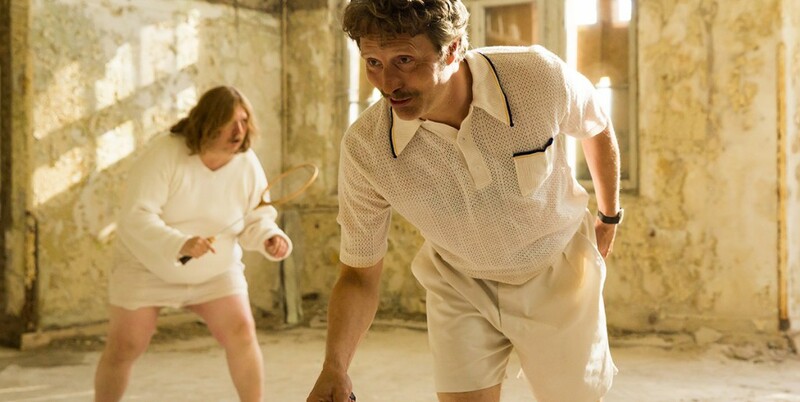 It’s no secret that we’re huge fans of Danish Cinema in general, and Mads Mikkelson in particular – and this screenwriter/director being one of our all-time favourite filmmakers, you’ve got yourself a movie we are super-excited to see! Other intriguing Vanguard selections include the Canadian premiere of Bruce McDonald’s new horror film Hellions, the body horror fantasy film Evolution directed by Lucile Hadžihalilovic, and February from writer-director Osgood Perkins who is also the writer of Midnight Madness selection The Girl in the Photographs. These genre-bending films are always some of the most popular at the festival and this year looks to be the same. No matter what your tastes are, whether it’s high-flying action, shocking gore, or creep-the-pants-off-you horror, you’re sure to find something that is appealing. We will continue to bring you more updates for this year’s festival including a round-up of our most anticipated films and who you can expect to see on the red carpet when the last of the films are announced along with the schedule and guest list on August 25th. « TIFF 2015: Opening Night Film, Galas & First Announcements.